Water damage can be devastating, regardless of the source. However, the cause of the water is a big factor in determining if there is coverage under your homeowner’s insurance policy. The home policy is very specific about one thing – it must be “sudden and accidental.” The accidental part is easy to understand, if you intentionally break a pipe and let water pour throughout the home, that is not going to be covered. “Sudden” is a little more difficult and may require a claims adjuster to determine if coverage applies. However, let’s look at some clear examples. You start your washing machine just before running out the door. When you return you find that the supply hose cracked and has been spraying water all over the upstairs laundry room for hours and is now dripping (maybe running) through the ceiling to the level below. Barring any unique circumstance, this would be considered sudden and accidental breakage and the water damage should be covered. On the flip side, you’ve noticed the tiles seem to be loosening around the faucet in your shower. You’ve added it to your ever-growing to-do list and finally find time to work on it a couple months later. At that point, you realize that the pipes running up to the shower head must have a small leak as the studs and drywall are completely rotted and needing replacement. This is accidental but is not a sudden loss as it takes time for wood to rot. Likely no coverage will apply. The key with water damage, is to check on anything suspicious as soon as you notice it – higher water usage/bill, sound of dripping water, unexplained dampness, etc. For those sudden losses, you may want to look into a water sensor. As we mentioned last month, there are smart home options that will send alerts to your cell phone if water is detected or could even turn off the water supply to the home until you return. Some companies even offer a discount with these devices installed. 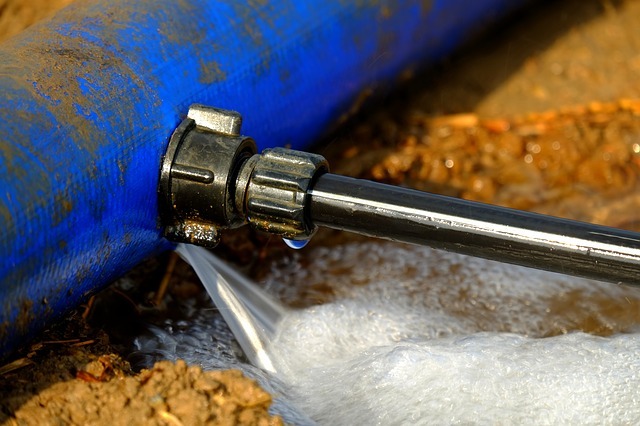 Water & Sewer Backup: Your sewer line gets clogged by roots and causes a terrible mess in your basement. The cost to clean up the mess along with replacing your damaged property could be covered if this endorsement is purchased. However, it does not pay the cost to repair the line itself as this is normally considered a maintenance issue. Buried Utility/Service Line: This endorsement would help pay the cost to replace the actual damaged sewer line, if needed, in the backup example given above. Still a fairly new option so not available with all of our carriers. Hidden Water Damage: Travelers offers this option along with their water and sewer backup for those times when you couldn’t know there was a pinhole leak in a pipe behind the wall. Flood: This is damage caused by surface water entering the home (for example, street flooding or a window well filling due to heavy down pour). Usually a separate policy is required; however, Safeco now offers an endorsement to add flood coverage for those in low risk areas. We would love the opportunity to review your policy with you and see what coverages are included and what other options may exist. Please give us a call at 303-232-3100 or email your agent directly.